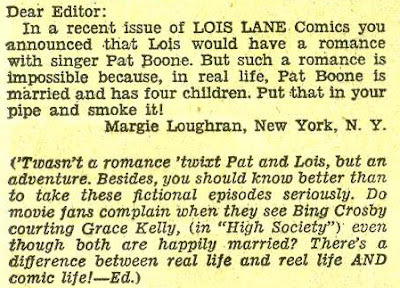 All I want to do lately is read old comic book letters pages. Give this editor a raise! Clearly he's the right man for the job of overseeing a comic book for girls. Smoke it, DC. Smoke it hard. A Super Valentine for You!